Our resident foodie Karen Burns-Booth takes us through her favourite vintage wartime recipes, not just for the historical interest they evoke, but for health and thrift reasons too. I have a real passion for our culinary recipe history and how those old wartime recipes can be just as good today as they were over 70 years ago. So much so that I lived off rations for a week a few years ago. Vintage wartime recipes are healthy as they contain little fat and sugar. They also feature small quantities of meat and cheese due to rationing. This fun and tasty recipe for potato piglets feeds six people but only uses six potatoes and six sausages. When served with a seasonal salad, this easy and nutritious meal will delight the children and provide a thrifty summertime meal using British or home-grown potatoes. The recipe originates from a Ministry of Food leaflet from WWII featuring Potato Pete. No feature about wartime recipes and thrift would be complete without the recipe for Lord Woolton pie and this authentic recipe also originates from a Ministry of Food leaflet. Packed with vegetables and made with pastry that has a scant amount of fat in it, this recipe is healthy and thrifty, as well as extremely filling. Not a sausage roll in the modern sense, this recipe is part of a complete menu of one pot meals issued in the Ministry of Food leaflet number 35. This sausage roll is actually a steamed pudding using sausage meat, vegetables, herbs, pickles, and breadcrumbs. It's a tasty way to enjoy sausages with some “hidden veggies” and use up stale bread. Served with steamed vegetables and potatoes, this makes a hearty family meal. Carrots were used a lot in wartime cooking and baking. They were home-grown and very versatile, so versatile in fact, that they often found their way into desserts, cakes and puddings. These delicious low-fat scones use grated carrot, creating a sort of a carrot cake scone if you will! The recipe is from the late, great Marguerite Patten OBE, who shared the recipe in her compilation book, The Victory Cookbook. Bread was the mainstay of the wartime kitchen and was nearly always made at home, although the national wheatmeal loaf was available from bakers. 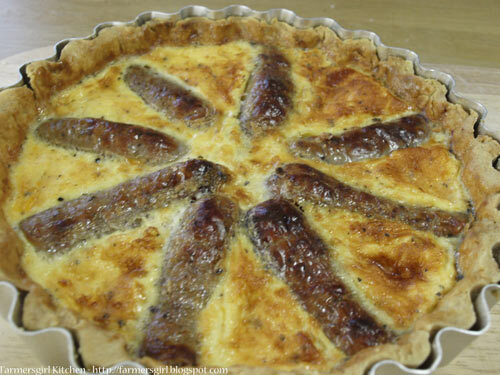 This fabulous recipe for egg and sausage pie will be just as popular today as it probably was over 70 years ago. The recipe does use the whole week’s ration for eggs, but it provides two meals for two people, so still represents good value. The recipe comes from Aunt Kate’s Ration Recipe Book. Soup is a versatile meal and this recipe for Oxford potato soup would make a comforting midweek family supper dish when served with home-made bread. It’s also packed with an impressive four of your five-a-day, which makes it an ideal meal for the little ones. The recipe is taken from another one of Potato Pete’s wartime Ministry of Food leaflets on how to cook with potatoes. Just because it’s wartime with rationing and frugal eating, doesn’t mean you have to forgo the odd treat. This recipe uses dried egg, but as we aren’t living on rations, you can use a real egg if you make these today! We have a bread, scone and biscuit recipe, so what about a thrifty and healthy recipe for a sandwich filling for afternoon tea now? This WWI recipe for a nutritious sandwich filling has proved to be very popular with my family since I discovered the recipe in an old People’s Friend facsimile from the Great War. Made with cheese, red lentils, breadcrumbs, and herbs, it’s packed with protein and fibre as well as vitamins. It seems impossible that a cake would feature in a collection of wartime recipes, but thrifty housewives often saved their coupons for special occasions, and this dried fruit cake is a wonderful example of what could be achieved with careful forward planning. Using a very small amount of fat, this egg-free cake still has the celebratory “wow factor” with the addition of several spices, raisins and currants, and looks amazing.